Rustom Collection and 3rd week 15 days box office earnings report: Akshay Kumar’s Rustom is notching the very top floor on the bollywood for more than 3 weeks. Film box office collections always remained a question of the hour because they are ultimately going to decide the actual fate of the movie. Akshay Kumar had recently delivered back to back 3 superhits to the industry which had definitely increased his fame. Being on the good days of his career, he delivered ‘Rustom’ with no lead actress and a not so experienced director. July was busy in clash of the movies where Mohenjo Daro and Rustom collection clashed with each other resulting a never ending fight in the box office . The pre release buzz of Rustom had increased its point and enabled the film to mint out the maximum from given opportunity on the box office. The other factors which largely affected the earnings stands as the initial response and storyline of the movies. Akshay Kumar had done everything possible to make this film hit. 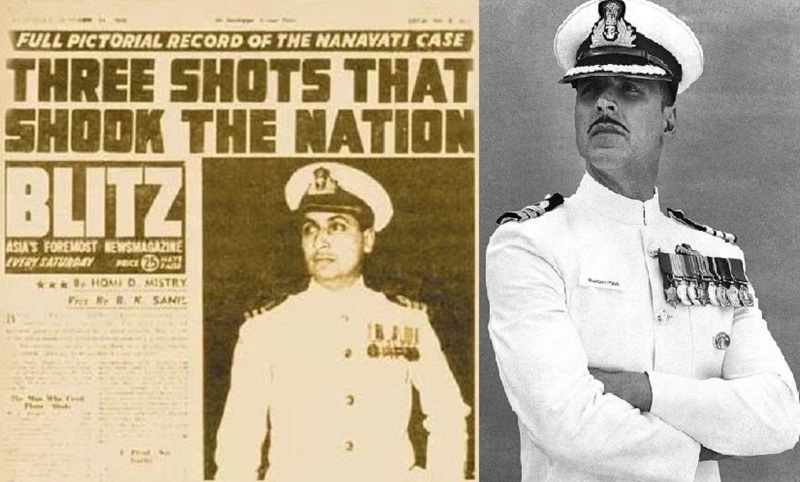 If Rustom proved to be an unfortunate flop, it might had proved very wrong in Akshay’s career. Movie stands good at profit centers on the opening day. The prices were hiked in multiplexes at urban areas specifically because of the ongoing buzz. The ongoing hike had resulted fortune for the movie’s earnings. Statewise, the film remained strong in many areas of north India. However not so good response was observed from Bihar, Jharkhand and Uttarakhand. The movie also remained in weak circuits for Akshay Kumar like Mysore, Nizam and Hyderabad. The most probable reason of esteemed response was growing fan following of the superstar and storyline of the film based on Army men’s story with release on Independence day. Rustom earned 200 crores worldwide. Day 1 business of Rustom was as good as of any other superhit blockbuster film released during the past year. As its friday earnings, film earned more than 14.11 crore rupees, which is a great figure considering it was a weekday release. The occupancy hits good in the theaters from opening day itself. In the morning shows a good rate of 60% fill up was observed which was declined a bit during the noon shows but again goes up with night shows. The weekend brought some good news for the film as it got some speed on box office. The film collected 16 crores and 19.88 crores on Saturday and Sunday respectively. Which was a great progressive figure indicating that it’s definitely going to cross the mark of 150 crores as lifetime earnings? The growth rate was quite great as the flick was successful in crossing the figures of 18-20% growth on the 2nd day itself. During the first weekend, Rustam minted 50.42 crore nett which is a high figure. ‘Rustom’ was ahead in East Punjab, UP, Mumbai and central India. Film was super solid in multiplexes and even not so strong circuits for Akshay Kumar like Mysore, Nizam were very good for the film. Film collected around 14.11 cr nett on day one which was good considering release size and clash factor. The fourth day was the independence day and not less than a test of film to perform the best on box office. We had so far seen exciting numbers on gazetted holidays which include highest by Hrithik Roshan on Diwali holiday for Krissh 3 – 44 crore rupees. The significant downtrend was observed on Monday despite the fact that it was a holiday, the film earned 17.81 cr from Indian market as 4th-day collection. The downfall rate was around 10% on Monday. Tuesday, Wednesday, and Thursday took the film in a cold chamber with more than 50% drop on the weekdays. It was quite certain that the recovery is not easily possible, and it even can’t perform well on Rakhi. On 5th, the 6th and 7th day the talkie earned a figure of approximately 21 crores averaging the earnings to 7 crore rupees for each weekday during the first week. On the 7th day it made a figure of 09.62 cr nett basically because of the festival. As its first week collections, the film earned a figure of 90.90 crore rupees which was great considering the release date of the movie. The figure was 2nd highest during this year competing for the figure of “Sultan”. Film remained strong during the subsequent week considering the size of release. The 2nd Friday was good despite the fact that film lost a subsequent number of screens at the BO. It was successful in earning a figure of 4.41 crore rupees in a single day. A small growth was observed on Saturday and Sunday as the fringe margin of +10-20% was observed in many cities. The film was successful in earning the figure of 5.77 crores and 6.94 crores on Saturday and Sunday subsequently totaling the earnings of the 1st weekend to 17.12 crores. Rustom movie collected another 2.21 cr nett on 2nd Monday and 1.97 cr nett on Tuesday. Film added 2.34 cr on Wednesday and 2.47 cr nett on Thursday due to holiday benefit in the domestic market. As its total earnings, the movie was successful in minting out 26.10 crores as 2nd-week collections. The performance was slow but still gave us hopes that it could cross the figure of 160 crores as lifetime collections. On Friday, the film opened with fierce competition from Tiger’s ‘A Flying Jatt’ which substantially affected its lifetime collections. As its 15th day collection, the movie was successful in earning an amount of 1.25 crores. However, a small growth was observed on the weekend. In the weekdays, it earned less than .7 crores on each day. Despite everything, the talkie impressed movie critics on overseas markets. A great response from UAE-GCC countries and the United States has been observed. Film earned 32.34 crore rupees total amount as overseas earnings from around the world. With this, Rustom Collection had successfully crossed the figure of 200 crores worldwide gross and 154.25 cr nett from around the world.